We speak Spanish, Ukrainian, Polish, and English. Our staff of hearing specialists will fit you with hearing aids and provide you with the best hearing loss treatment. We are happy you have visited our Advanced Audiology of NY website, we service New York and surrounding areas. 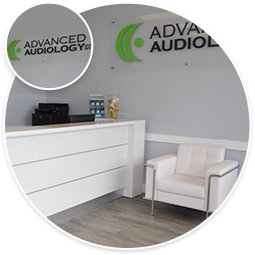 For those of you who are new to Advanced Audiology of NY and our hearing health care services, we would like to tell you about who we are and what we stand for. Advanced Audiology of NY is committed to providing the most comprehensive audiology and hearing aid services to patients in a prompt and courteous manner. We are dedicated to providing you with the latest technology and personal assistance. Our goal is to ensure that you receive reliable service. We understand the urgency of good communication in everyone's life. We're here to listen, educate, and assist your hearing and balance needs. 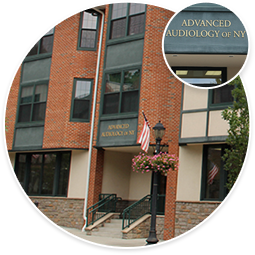 Advanced Audiology of NY offers a comprehensive audiology service managing patients from infants to adults. We provide a full-range of services for the selection of hearing aids, assistive listening devices, swim molds and musician inner ear monitors. Advanced Audiology of NY accepts most insurances and will work out financing arrangements for those who do not have insurance or do not have hearing healthcare coverage. Dr. Ruiz experiences’ include Montefiore Medical Center, Hackensack University Medical and the Brooklyn Veterans Administration Hospital where he worked alongside the top Audiologist and Otolaryngologist in the Tristate area. Dr. Ruiz focuses on individual patient care. He prides himself on providing quality hearing and balance healthcare where his patients are his main objective. His expertise includes over ten years of experience working with patients of all ages and a variety of services. “I highly recommend Advanced Audiology Of NY. Dr. Ruiz is very friendly, understanding, welcoming, caring, and personable- as well as professional." Our ears are always opened! We look forward to assisting you with any and all of your hearing and balance needs.